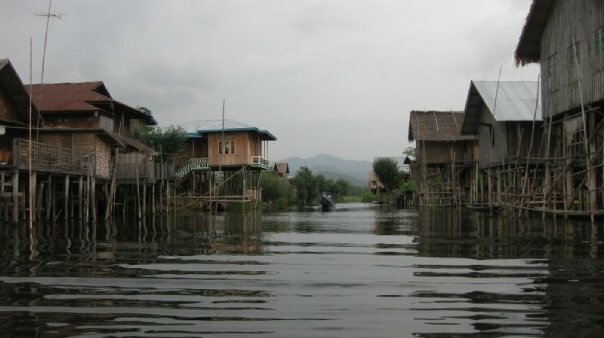 Houses on Inle lake in Burma. The means of transport of people who live here is a sampan. A tour of Inle lake can be arranged for US$10 for the entire day. It’s such a different world that pictures taken on the tour look straight out of National Geographic.